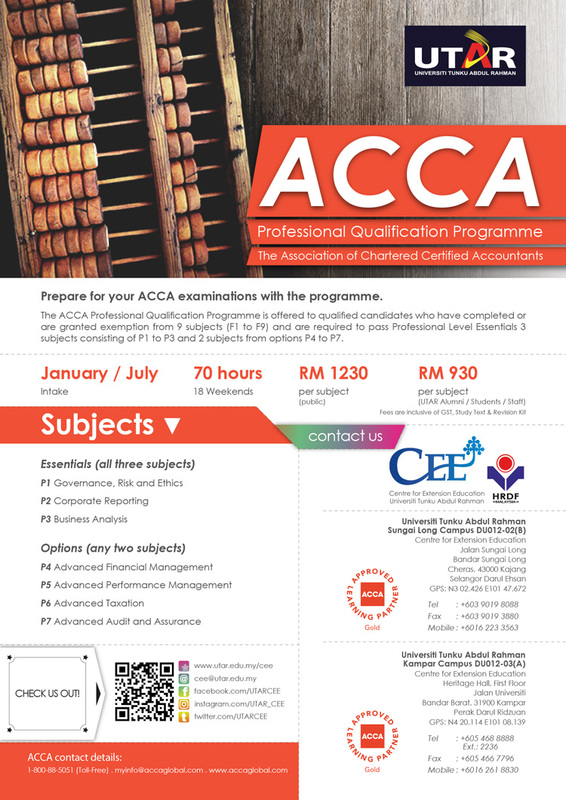 Join ACCA programme for a better career in Finance and Accounting! Join ACCA Preparatory Course with ACCA Gold Approved Learning Partner. The preparatory course is to prepare you for the the June and/or September 2018 ACCA examinations.